That’s why we host the National Disciple Making Forum every year. We know that it’s life-on-life interactions with other disciples—by the power of the Holy Spirit—that produces change to become more like Jesus. Reserve your seat at this year’s Forum here. 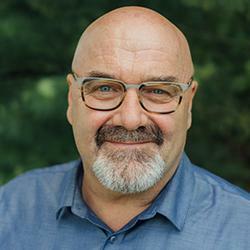 Bobby Harrington is a lead pastor, author, disciple-maker coach, and trainer of other leaders. He has led churches in Calgary, Alberta, (his home town) and the Nashville area. He completed graduate work at Harding University, the University of Calgary, Princeton, and other places before finishing his Doctor of Ministry at Southern Seminary. He lives in Franklin, Tennessee, with his wife and near his two children and two grandchildren. 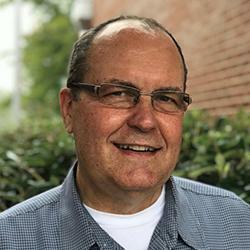 Geary’s 40-year career in the music business eventually brought him and wife Anne to Franklin, TN, where they became immersed in Harpeth Christian Church, Discipleship.org and helping raise two grandchildren. Geary enjoys occasionally riding his motorcycle on Tennessee back roads. 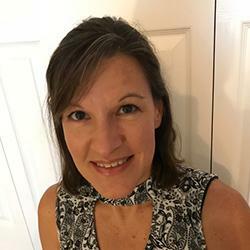 Leslie has over 10 years of experience as an office administrator, has an attention to detail and enjoys planning events. She is married to Jeff and they have 3 children and 2 grandchildren. Leslie is the glue that holds Discipleship.org together and we are blessed to have her! Jason Stewart has served in many ministry and pastoral roles focused on discipleship for about 20 years. 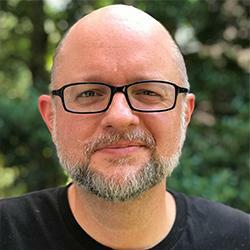 Jason recently joined the team at Exponential.org as COO. 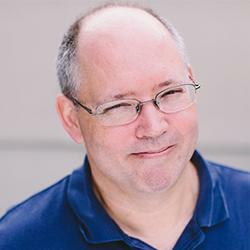 In his role at Discipleship.org, he has taken on various projects including webinar and seminar production, as well as main sessions at the National Disciple Making Forum. Jason and his wife Kelly live in the Nashville area with their 4 children. 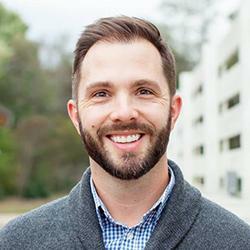 Jason Dukes is a graduate of Union University and New Orleans Baptist Seminary. He currently serves as Multiplication Minister with Brentwood Baptist Church and teaches New Testament adjunct for Belmont University. He has started some stuff, pastored some stuff, written some stuff, and broken some stuff, which you can find out more about at Facebook.com/JasonCDukes, Twitter.com/LiveSent, and www.LiveSent.com. 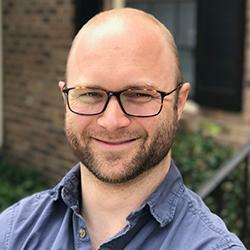 Chad manages the digital marketing for Discipleship·org with his media and marketing company Harrington Interactive Media, along with its publishing imprint, HIM Publications. He’s a writer and married to a rocket scientist, Rachel. They have one daughter and live in Nashville, TN. See more at www.harringtoninteractive.com. 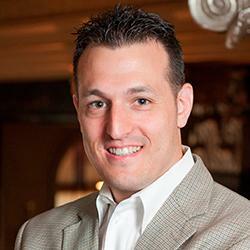 Jason Henderson spent over 20 years in the market place in executive leadership positions. He recently joined the team at Discipleship.org. He lives in Franklin, Tennessee, with his wife and two small children. 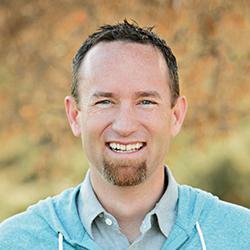 Todd is the founder and CEO of Exponential (church planting). He brings both a commitment to disciple making and in-depth knowledge of the cutting edge of church planting and church leadership. He is the father of two adult children and lives outside Washington, D.C., with his wife. Kris Dolberry is a pastor, speaker, and writer. After serving as national leader of Men’s Discipleship at LifeWay and Executive Editor of Stand Firm: A daily devotional magazine for men, and various other ministry roles, he is now one of the pastors at The Bridge Church. Kris is husband to Vanessa and dad to Konnor, Emma, and Brady. They live outside Nashville, Tennessee. Find out more at krisdolberry.com. 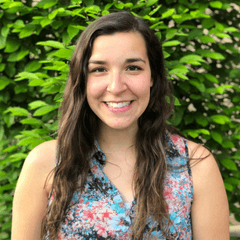 Roslyn Moran loves students and makes disciples as a minister in an active student ministry. She is also a mom and social media communicator. Imagine a day when disciple making is the norm for the local church! Everyday Christians engage in relationships with people (inside and outside the church) so that they can show the love of Jesus and help people to trust and follow him. Churches are known as disciple making places, where Jesus-like people are created. And pastors are evaluated by the people they raise up and the disciple makers they have made in the Spirit’s power. Jesus’ message AND Jesus’ methods dominate. What would it take? I would like to suggest the DNA of a movement. 1. The Gospel is our message – this Good news is focused on Jesus and his death, burial, and resurrection. All who respond to salvation are also called to discipleship, no exceptions, no excuses (1 Corinthians 15:1-8; Mark 8:34-38). The gospel we preach and believe dictates the kind of disciples we are and the kind of disciples we make. If we attempt to make a Christ-like disciple from a non-discipleship gospel we will fail [A non-discipleship gospel is one that does not include discipleship as a natural part of the message and expectation]. 2. We are Compelled to be and make disciples of Jesus. We believe Jesus Christ is supreme and worthy of all devotion, worship, and emulation – and disciple making is a natural and necessary life responses to Jesus. With laser focus, it was Jesus himself who made disciples who could make disciples… and then Jesus commanded us to do the same (Matthew 28:16-20, John 20:21). 3. Jesus is the model (for life and ministry). Jesus showed us how to live life and how to make disciples. We seek to emulate his method and model. As the sinless second Adam, He was man as God intended man to be. He then told us, “do what I have done” (John 14:12) and “walk as I have walked” (I John 2:6). Paul understood this when he said, “imitate me as I imitate Christ” (I Corinthians 11:1). Discipleship demands us to “follow” the resurrected Christ, and “imitate” the priorities and patterns of the incarnate Christ. We prefer to use the expression “Disciple Making” over “discipleship” because the former is closer to the words of the Great Commission and the latter is often mischaracterized (Matthew 28:18-20). We like the expression “Jesus model of disciple making,” as a summary of what we do. 4. Love is the driving motive. The Great Commandment precedes the Great Commission. Loving God and loving people is the passion behind the priority, the motive behind the mission, the heart behind the hands. Love is the signature card of true disciples… disciple making cannot happen apart from loving caring relationships… both tough and a tender love (I Thessalonians 2). Larger ministries require more relational disciple makers to keep growing. Disciple making is relational and as ministries grow, more relational disciples are needed. “By this will everyone know you are my disciples, if you love one another” (John 13:35). 5. Verifiable fruit is the measure. God’s agenda for each one of us is that we stay close to him and bear “fruit”, “more fruit” and then ultimately “much fruit” and “so prove to be His disciple” (John 15:8). God transforms our hearts as we “abide in him” and he leads us into lives of love (John 15:17). Jesus modeled the focus of love as he came to seek, save and disciple people (Luke 19:10; 6:40). Jesus masterfully showed how love reproduce disciples… reaching and developing his men and helping them grow from non-believers all the way to reproducing disciple makers (Matthew 28:19-20). There is a natural process of moving people from those who do not know Jesus all the way to becoming mature disciple makers … and Jesus showed the model to us. In short, we haven’t truly made a mature disciple until they are following Jesus model of love and helping make more disciples… this is fruitful multiplication. 6. Holy Spirit power is the means. Disciples cannot be made through fleshly efforts. Jesus, in His humanity, fully acknowledged His dependence upon the Spirit. Disciple making is not just a good strategy… it is a way of life, accomplished through the fruit of the Holy Spirit living through a person’s yielded and holy life (2 Corinthians 3:16-17). If Jesus fully depended upon the Holy Spirit’s power, how can we not do any less? 7. The Church is the environment. The church is for discipleship and disciples manifest the Kingdom of God to the world (Colossians 1:28-29). When the church reverses this process and attempts to get the world to go to church instead of the church going to the world, you get chaos. Pastoral and ministerial work should be evaluated and rewarded based on how many disciple makers are produced and the kind of people a church sends into the world. Jesus was a man for others, the church, likewise, is for others. Any plan that does not create disciples who live for others is a failure. 8. Equipping leaders is the lynchpin of the movement. All Christians are called to be disciples who grow to help make disciples, using the unique gifts God has given each of us. However, leaders are also called to grow a movement of disciple making…. this is called the Church (2 Timothy 2:2). How Jesus built a movement, differs from how Jesus made a disciple. If we are going to create a disciple making movement in North America… it is our conviction we must train leaders in how Jesus built a movement. This is harder and takes more time… but in the end this will bear fruit that will remain. So practically this means we must develop a team of disciple making leaders (Pastors) with various disciple making best practices (church models) who can continue to fan the flame of disciple making. 9. Definitions are vitally important – 1) our definition of disciple making is – entering into relationships to help people to trust and follow Jesus (Matt. 28:18–20), which includes the whole process from conversion through maturation and multiplication; and 2) our definition of a disciple is – a person who is following Christ, being Changed by Christ, and is committed to the mission of Christ (Matt. 4:19). 10. Jesus and Scripture are our basis – We believe the 66 books of the Bible are the authoritative, reliable, and ultimate standard for disciple making and life (2 Tim. 3:16-4:2) and that Jesus, as presented in the Bible and appropriately described by the Apostle’s and Nicene Creeds, rightfully deserves our focus and our commitment to a life of full discipleship. Exciting stuff! Thanks to my collaborators who are helping envision this DNA – Robert Coleman, Bill Hull, Dann Spader, Jim Putman, Robby Gallaty, Kennon Vaughn, Craig Etheredge and others.